In the recent past there has been a growing interest in traditional, complementary and alternative medicine (TCAM) and its relevance in public health both in developed and developing countries. Diversity, flexibility, easy accessibility, broad continuing acceptance in developing countries and increasing popularity in developed countries, relative low cost, low levels of technological input, relative low side effects and growing economic importance are some of the positive features of traditional medicine (WHO 2002). It is well established by now that the approach of Western allopathic medicine is excellent in handling acute medical crises whereas Ayurveda has successfully demonstrated an ability to manage chronic disorders that Western medicine has been unable to. Ayurveda can form the basis for a new, improved approach to public health, including health promotion, and affordable primary care functions, especially for communicable and chronic diseases as it is not just a system of Indian medicine but it is a way of life. , To tap the potentials of our indigenous medicine systems it is important to assess the awareness among people and make efforts to popularize them inorder to combat various communicable and NCDs. The promotion of health and prevention of diseases are stressed by personalized approach (Prakriti-based medicine) which is the forte of Indian systems of medicine (ISM). The concept of personalized therapy in Ayurveda has the potential to offer remedies to the challenging health issues like adverse drug reactions, drug withdrawals, economic disparities and chronic disease management to name among few. An integrative global approach could do wonders to health sciences benefiting a broad spectrum of patients. The Indian system of medicine is of great antiquity. It is the culmination of Indian thought of medicine which represents a way of healthy living valued with a long and unique cultural history. The Indian sages were aware of chronicity and complications of the diseases and they had classified the diseases according to the prognosis in four categories. Asaadhya : the disease which cannot be cured. The current study was conducted keeping in mind the present scenario of globalization, shift in lifestyle patterns and increase of healthcare burden in India due to changing economics. The present study was carried out to assess the awareness about lifestyle and popularity of Ayurveda among people of Jamnagar and the overall preference of medicine system in case of common acute ailments and chronic health conditions. A questionnaire was drafted in accordance with above said objectives in mind. The questionnaire used in the study followed the model given by Jwala et al., (2009). The method of asking questions was the interview method. It was the multiple choice questionnaire. Data was collected in pre-tested structured questionnaire. Prior to distribution of questionnaire a pilot study was conducted. The method of sampling was 'Convenience Sampling (nonprobability sampling technique)'. The inclusion criteria consisted of the residents of Jamnagar of both gender. A written informed consent was obtained from each and every participant and anonymity of participant was maintained throughout the study. The objectives were duly explained to each and every participant and doubts, if any, were clarified. Questions and their responses are being presented as bar charts, pie charts and tables. Statistical tests were performed as described in the text using commercial software package SPSS version 16. The multiple comparison test discussed here is Tukey's Honestly significant difference (HSD) test for designs with equal sample sizes. Total number of participants in the study was 200 of which 80 were males and 120 were females falling in the age range of 17-70 years. The type of study was cross-sectional. 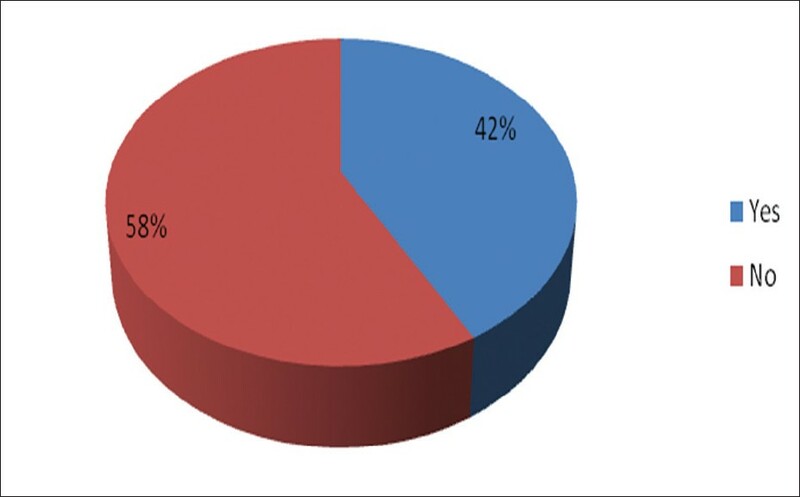 Forty-two percent of the participants observed fast regularly as shown in [Figure 1]. However, most of them observed fasting due to religious and cultural beliefs. Among the many stated forms of exercise walking was the most popular form done by 43%. 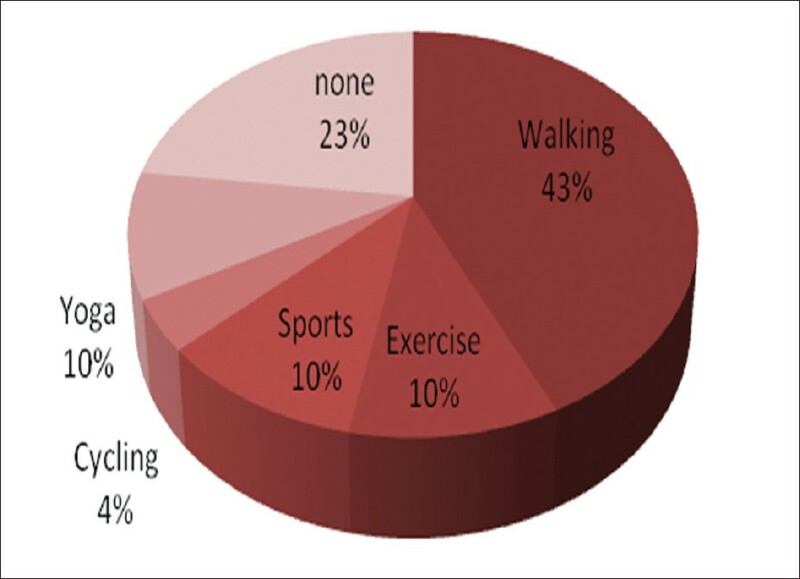 Twenty-two percent of the participants did not include any form of exercise in their daily routine as shown in [Figure 2]. The participants also were found to have very little knowledge about the type of cooking medium which would be healthy. 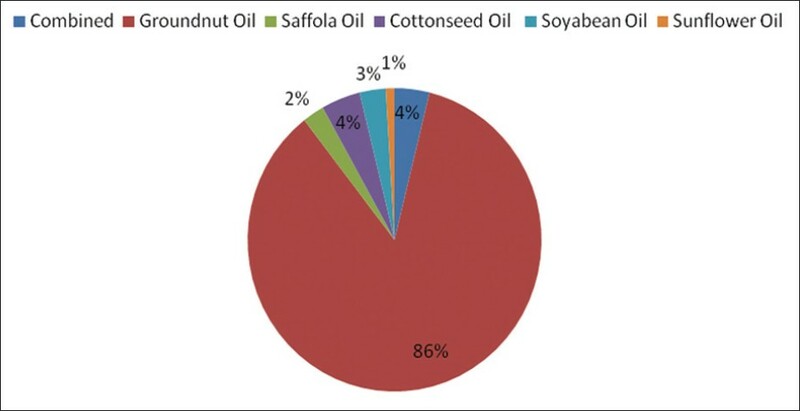 The most popular choice was found to be groundnut oil shown in [Figure 3]. Around 4% of the participants used more than one medium of cooking. Very few participants had awareness related to benefits of w-3 fatty acids. Eighty-two percent of the people irrespective of their genders were found to add raw salt to food during meals and consume pickles and Papad which have high content of salt as a routine food habit. Multiple comparisons using Tukey Honestly significance difference (HSD) was calculated. 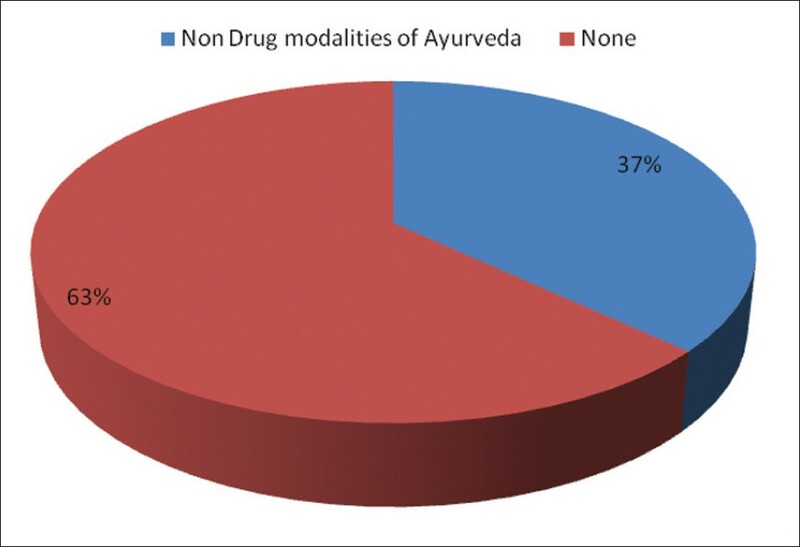 Comparing these to the value of HSD = 4.673, it was observed that the difference between i) Allopathy- Homeopathy, ii) Allopathy - Ayurvedic and iii) Ayurvedic- Homeopathy as 15.5263, 7.1053 and 8.4211, respectively, are significant at a = 0.05. As expected allopathy was found to be more preferred and homeopathy the least preferred choice of treatment among the three. However, it was observed that the difference among the three systems of medicine is minimal as shown in [Table 1] and [Table 2]. 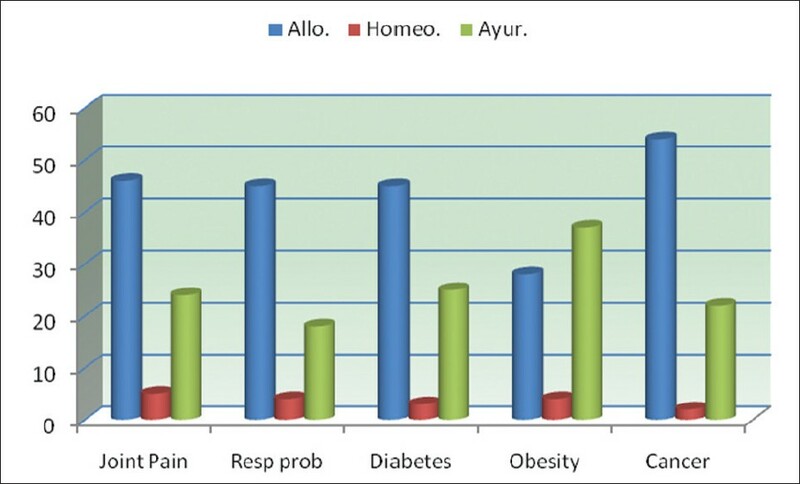 [Figure 4] and [Figure 5] show the preferred system of medicine of the participants in various diseased conditions. 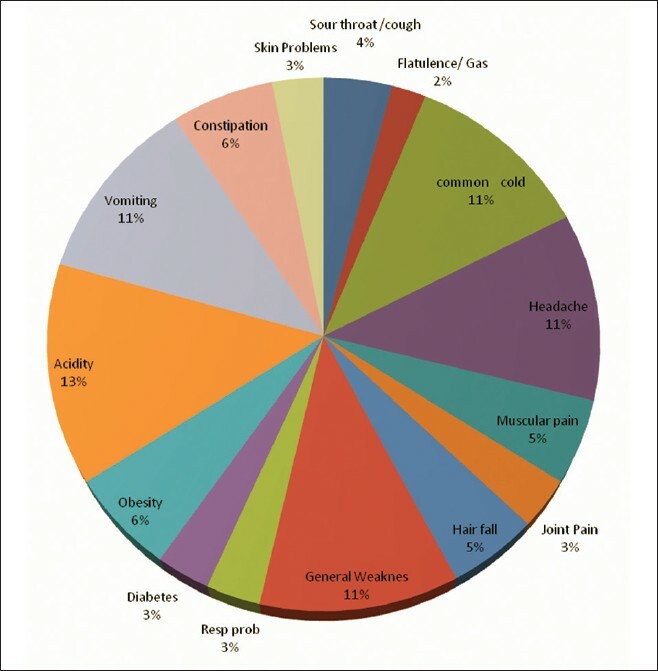 Home remedy was the first choice in many health conditions as shown in [Figure 6]. Most participants were found to use traditional wisdom as therapy before consulting a professional health practitioner. 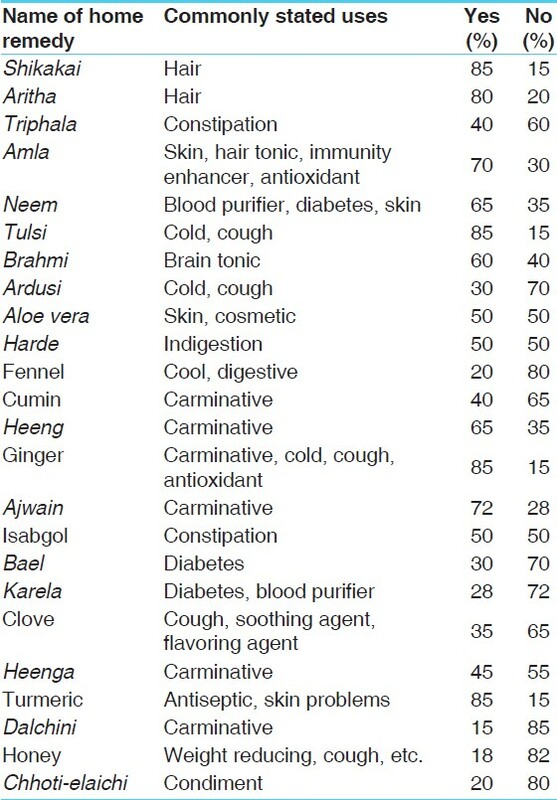 [Table 3] gives a list of commonly used home remedies and percentage of awareness about their use among participants. Fasting and dietary modifications based on Prakriti. Life style-related problems have brought with them an increased risk of developing chronic non communicable diseases such as cardiovascular diseases, cancer, diabetes and mental disorders. Patients are now looking for simpler therapies for improving the quality of life. This has led to resurgence of interest in ISM especially Ayurveda and other existing medicine systems in India and globally. In India, there are about 20 well-recognized manufactures of herbal drugs and 140 medium or small-scale manufactures. In addition, thousands of Vaidyas have their own miniature manufacturing facilities. About 1200 licensed small manufactures are there in India currently. The estimated current annual production of herbal drugs is around Rs.100 crores as compared to the production allopathic pharmaceuticals, which is around Rs. 800 crores. More efforts should be directed towards increasing awareness and facilities on various medicine systems in India and students should be encouraged to take up these as profession. Multispeciality clinics with experts from modern and other systems of medicines could be the future of health practices wherein experts from alternate, traditional and modern systems (ISM, Homeopathy and Allopathy) come together to deal with various aspects of disease and its management. The awareness about lifestyle: exercise, diet, oil consumption, PUFA and salt intake need more vigorous attention as observed in this study. In various health conditions home remedy and Ayurvedic treatment has emerged to be the first choice though in chronic conditions allopathic medicine system is the preferred choice of treatment. In the acute health conditions however, along with allopathy, ayurvedic treatment has scored an equivalent preference in the current study.. The participants are well-aware of non-drug modalities of Ayurveda and their effective impact on life style modification measures as well as management of chronic diseases. Many of the participants were found to use more than one system of medicine for disease prevention, cure and a better life. Studies need to be carried out to explore this aspect. A larger sample size encompassing various economic strata could be a better index of popularity of various alternative medicine systems existing in different sections of our society. 1. Geneau R, Stuckler D, Stachenko S, McKee M, Ebrahim S, Basu S, et al. Raising the priority of preventing chronic diseases: A political process. Lancet 2010;376:1689-98. 2. Ng N, Van Minh H, Juvekar S, Razzaque A, HuuBich T, Kanungsukkasem U, et al. Using the INDEPTH HDSS to build capacity for chronic non-communicable disease risk factor surveillance in low and middle-income countries. Glob Health Action 2009;2. 3. Boutayeb A, Boutayeb S. The burden of non communicable diseases in developing countries. Int J Equity Health 2005;4:2. 4. Mathers CD, Loncar D, Mathers CD, Loncar D. Projections of global mortality and burden of disease from 2002 to 2030. PLoS Med 2006;3:2011-30. 5. Colagiuri R. The global chronic disease burden: What is being done? Diabetes Voice 2008;53:7-10. 6. Chaturvedi M, Jindal S, Kumar R. Lifestyle modification in hypertension in the Indian context. J Indian Acad Clin Med 2009;10:46-51. 7. Gupta R, Gupta VP, Sarna M, Bhatnagar S, Thanvi J, Sharma V, et al. 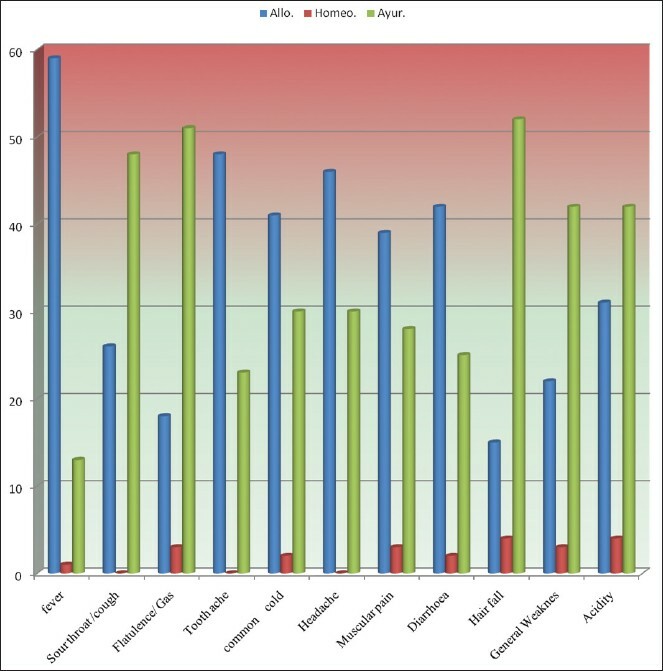 Prevalence of coronary heart disease and risk factors in an urban Indian population: Jaipur Heart Watch-2. Indian Heart Journal 2002;54:59-66. 8. Gupta R, Gupta KD. Coronary Heart Disease in low socioeconomic status subjects in India: An Evolving Epidemic. Indian Heart J 2009;61:358-67. 9. Gupta R, Deedwania PC, Soangra MR. Prevention of coronary heart diseases in India: An epidemiological perspective. Indian J Community Med 2002;27:185-90. 10. Goyal A, Yusuf S. The burden of cardiovascular diseases in the Indian subcontinent. Indian J Med Res 2006;124:235-44. 11. Patwardhan B. Final Report on Traditional Medicine: Modern Approach for Affordable Global Health. Geneva: World Health Organization; 2005. 12. ATP III Final Report V. Adopting healthful lifestyle habits to lower LDL cholesterol and reduce CHDrisk. Circulation 2002;106:32-53. 13. Payyappallimana U. Role of traditional medicine in primary health care: An overview of perspectives and challenges World Health Report. Yokohama J SocSci2006;14:57-78. 14. Chatterjee B, Pancholi J. Prakriti-based medicine: A step towards personalized medicine. AYU 2011;32. 15. Polshettiwar SA. Indian herbal drug industry - Future prospects: A review. Pharm Rev 2006:4(2). 16. Report by Ayush: National Policy on Indian Systems of Medicine and Homoeopathy-2002. Available from: http://www.whoindia.org/LinkFiles/AYUSH_NPolicy-ISMandH-Homeopathy. [Last Accessed on 2011 Jun 1]. 17. Jawla S, Gupta AK, Singla R, Gupta V. General awareness and relative popularity of allopathic, ayurvedic and homeopathic systems. J Chem Pharm Res 2009;1:105-12. 18. Vaidya AD. 'Financing and delivery of health care services in India'. Background Papers Financing and Delivery of Health Care Services in India Ministry of Health and Family Welfare Government of India;2005. p.85-95.